Sometimes the siphon tube becomes detached in the barrel. This can be due improperly assembling the siphon tube and connectors, or simply because the chemicals affect the connection between the 4-piece siphon tube assembly. 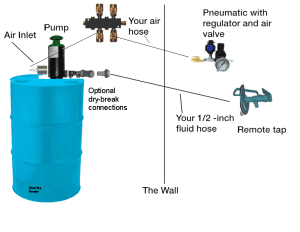 If the siphon tube assembly is not at least 1/2-inch longer than the entire length of the inside of the drum plus the length of the fitting, the tube is not properly wedged between the top of the pump and the bottom of the drum and will be likely to become disassembled. 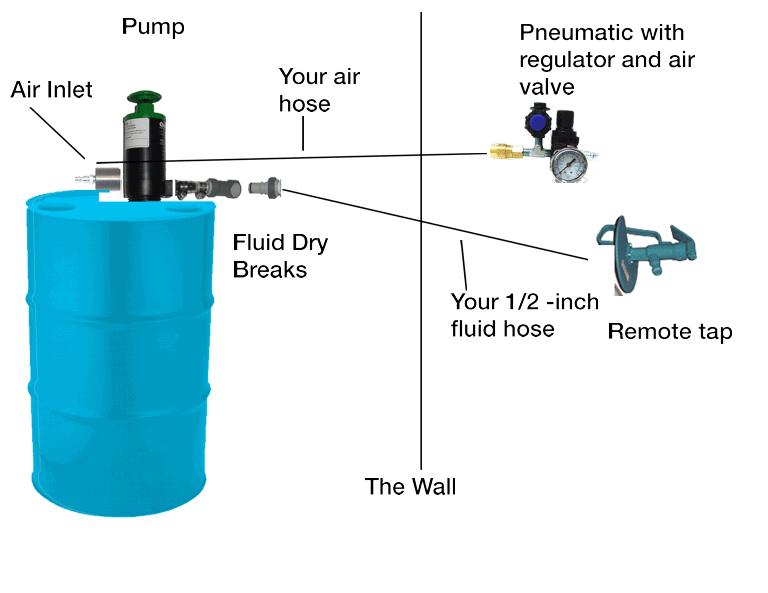 See page 9 of the OPERATION MANUAL which comes with your pump. If you have followed these instructions and are still having problems, please see below for additional tips and tricks. 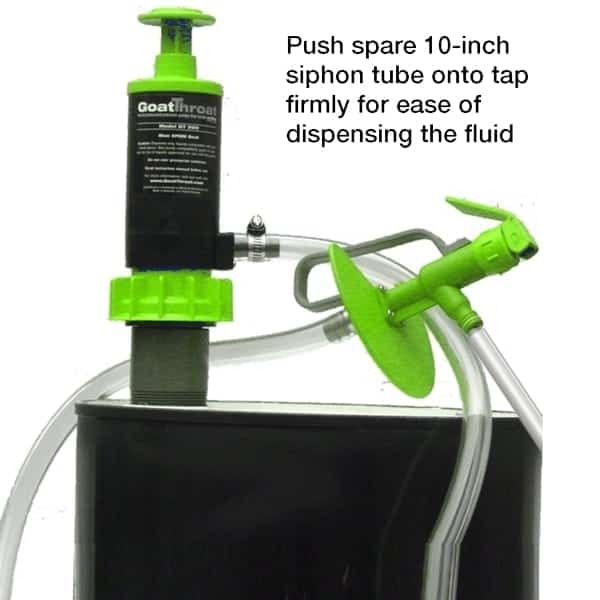 CUSTOMER TIP: You may need this trick to hold the siphon tube to the pump, “use couple of small zip ties as a clamp to hold the siphon tube to the pump”. GT TIP: Wrap the top of the siphon tube with Teflon tape several times, making sure you go across the opening at least twice. When you insert the tube onto the pump, the overall outside dimension and overall inside dimension will be reduced and will have a tighter fit. 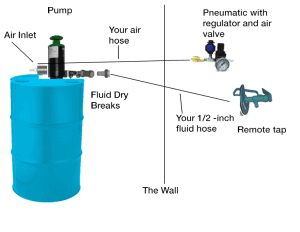 Your pump can be used as a hand pump or as a siphon. 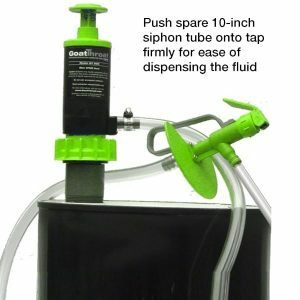 The siphon method is especially useful for a 30 or 55 gallon container. Clamp a 5′ piece of hose, which is compatible with your liquid, to the tap. Pressurize the container as normal. Open tap and then quickly open pressure release valve completely. Depending on the height differential between the fluid level and the receiving container, fluid should flow at about 1 – 2 gallons per minute. To increase speed, add pressure using the piston on the top of the pumps. When finished with transfer, close the tap, raise the end of the hose above the pump, reopen the tap and let the fluid in the hose drain back into the container. Then close your tap again. Finally, close the pressure release knob.